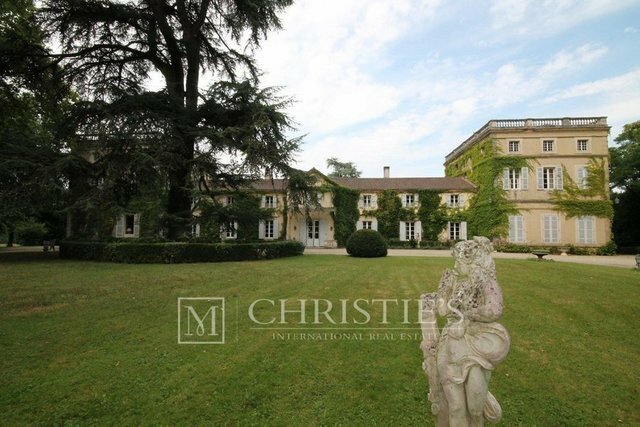 Situated in 4.7ha of beautiful parkland on the banks of the river Garonne, this prestigious Château dating back to the 18th Century has been restored to create an elegant 4-Star standard hotel/function centre, ideal for weddings or other commercial hospitality use. The main building comprises over 1,200 m² of living space, divided into 25 main rooms including 14 bedrooms over 3 floors, all with bathroom /WC; in addition there are fully-equipped professional kitchen facilities, and large cellars/basement rooms. The extensive outbuildings include a staff house, workshops/stables, garaging & storage areas, and there is a large heated swimming pool.